We are a multi-award winning firm of financial advisers. 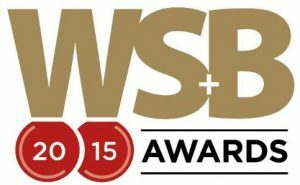 Wealth & Finance International selected us as the ‘Most Outstanding Workplace Pension Adviser 2019 – UK’ in the Global Business Excellence Awards. This award highlights the strength of Secondsight’s influence within the industry and the recommendations and recognition we receive from clients in the regions we work in. Furthermore, we were particularly commended on our online presence and the information we provide on our digital platforms which is frequently updated with industry related news and statistics. We are delighted to have been awarded Adviser Firm of the Year London at the Professional Adviser awards. The awards set out to recognise advisory businesses across the country for their knowledge, skills and commitment to client care. 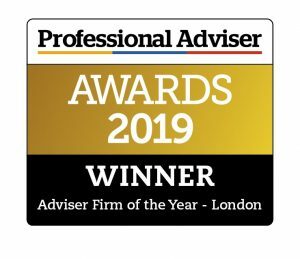 When announcing our win, Professional Adviser commended us for our strategic understanding and robust, detailed and clear client-focussed advice. 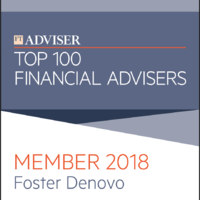 We were included in the top 10 of FT Adviser’s Top 100 Financial Advisers list. 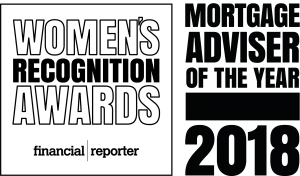 The list sets out to showcase some of the best financial advisory businesses working in the UK. When judging the awards, FT Adviser looked at a range of data to figure out how different advice businesses are doing recommending assets in different economic and interest-rate environments. They also looked at how highly qualified advisers are. 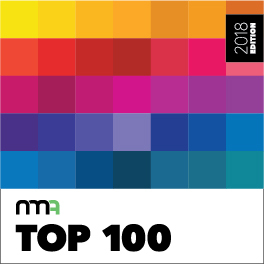 We were included in New Model Adviser’s Top 100 list for 2018. The list is created to showcase firms who New Model Adviser think deserve praise. When judging the award, New Model Adviser looked for: a clear strategy for growing the business; demonstrable succession planning; evidence of conversations about clients’ ethical investment preferences; a contribution to the profession through sharing best practice and holding roles with professional bodies; a commitment to client education; and a high level of qualifications among staff. Augusta Onyiuke-Eluma, Mortgage Partner at Foster Denovo, was awarded ‘Mortgage Adviser of the Year’ at the 2018 Financial Reporter Women’s Recognition Awards. The Mortgage Adviser of the Year accolade is awarded to a woman whose work as a mortgage adviser deserves recognition or has paved the way for women in the sector. 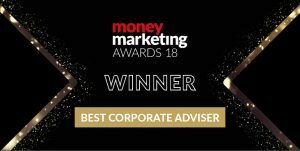 Secondsight retained the title and won Best Corporate Adviser for the second year running at the Money Marketing Awards. The judges commented on the depth, breadth and overall quality of Secondsight’s client focused approached. We are delighted to have been awarded the Investors in People Silver accreditation. We had previously held this award with a Bronze accreditation, so we are thrilled to have been reaccredited to the next level. We have been awarded Leading Experts of 2018 – Leading Workplace Pension Adviser of the Year at this year’s Wealth & Finance awards. In announcing our win, the judges told us they especially liked our focus on wellbeing, encompassing financial, health and mental wellbeing, along with our range of communication methods to suit different employers’ needs. 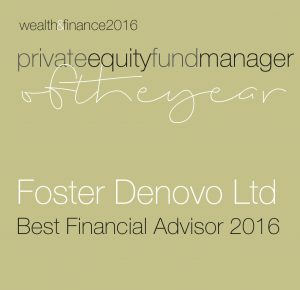 Foster Denovo was awarded ‘Best Financial Adviser 2016’ in the Private Equity Fund Manager of the Year awards, part of the Wealth & Finance Awards. We were also awarded ‘Best for Employee Benefits Advisory Services 2016- UK’ at the Wealth & Finance awards. 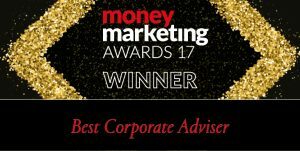 Secondsight, our employee benefits division, was announced as one of the finalists in the category, Best Corporate Adviser, at 2016’s Money Marketing awards. The awards seek to recognise adviser firms for both the quality of their customer advice and their business acumen. 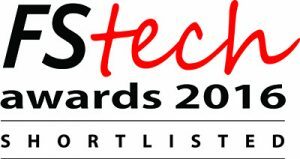 Foster Denovo was shortlisted at the FSTech awards, in the category of the Editor’s choice award. Our entry reflected the innovation and development of Mybenefitsatwork and how it has helped to increased employee engagement and understanding of their benefits. We were shortlisted for Adviser Firm of the Year (London) and Best Client Engagement Award for Mybenefitsatwork at the Professional Adviser Awards 2016. We won the Estate Planner of the Year 2015 Award at the Solidus Conference 2015. This was in recognition of the excellent achievements in providing comprehensive estate planning solutions to our clients. We previously won this award in 2012 and 2014. Foster Denovo was highly commended in the Learning at Work Week Best Event Award for Promoting a Learning Culture in the SME category. This reflected the strength and quality of our entry which put us in very close contention for winning the overall award. The judges were particularly impressed with our overall approach, clear objectives and partnership working. Secondsight was delighted to be recognised and shortlisted at the 2015 COVER Excellence Awards in the category Employee Benefits Intermediary of the Year. 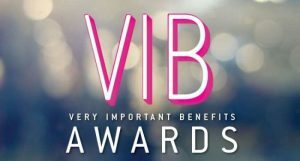 The COVER Excellence Awards seek to recognise and reward those firms and intermediaries who have been innovating and serving their customers to the highest standards. 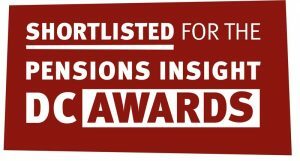 Oracle was a finalist in the category Best Workplace Savings Solution at the Pensions Insight DC Awards for the introduction of workplace financial education as part of their overall employee wellbeing programme. 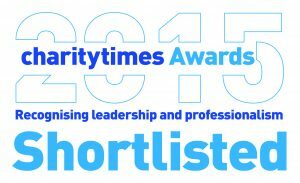 Foster Denovo was a finalist at the 2015 Charity Times Awards in the category of Consultancy of the Year. The entry recognised Foster Denovo’s latest innovation, Mybenefitsatwork, which was designed with the third sector in mind. Secondsight was announced as finalists in the category Employee Benefit Consultant of the Year and our client Oracle was a finalist in the category, Best Financial Education Initiative of the Year at the Workplace Savings and Benefits Awards. The Workplace Savings and Benefits Awards recognise employer and provider excellence over the last 12 months. 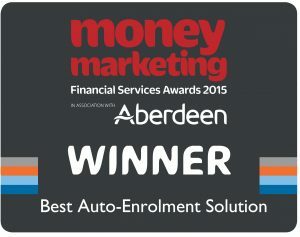 Foster Denovo won Best Auto-Enrolment Solution at the Money Marketing Awards 2015. We were also shortlisted for the Best Professional Development Award. The Awards ceremony is the best opportunity of the year for all major financial services organisations to join together and celebrate the industry’s finest. Foster Denovo made the finals of the UK Financial Services Experience Awards 2015. Foster Denovo was shortlisted in the Business Change or Transformation category for the excellent client experience provided throughout Foster Denovo and Secondsight. 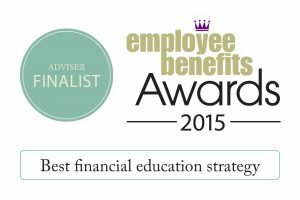 Oracle was a finalist in the Best Financial Education Strategy category at the Employee Benefits 2015 awards. The shortlisting recognised the implementation and work surrounding their financial education programme. 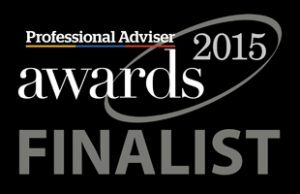 Neil Wortham, Head of Paraplanning at Foster Denovo, was shortlisted for Paraplanner of the Year 2015 at the Professional Adviser Awards. Having won this award in 2014, it was a great achievement for Neil to be shortlisted once again. The Professional Adviser Awards celebrate excellence and achievement in the financial services industry – with a real focus on the financial adviser community.